beGLOSS EASY GLIDE - 250 ML - Easy Glide - Pure Feeling - Slip into rubber & latex garments fast and easy with our lubricant dressing aid. BeGLOSS EASY GLIDE makes getting into rubber & latex garments simple. The amazing sliding features enhances the stimulating feeling on the skin. 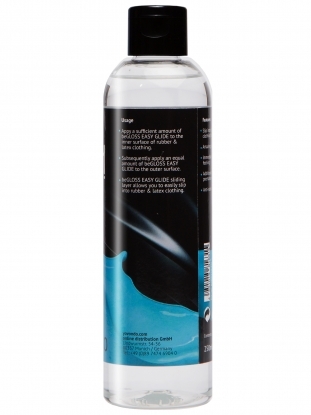 beGLOSS EASY GLIDE PREMIUM SPRAY - 250 ML - Easy Glide - Pure Feeling - Slip into rubber & latex garments fast and easy with our lubricant dressing aid. 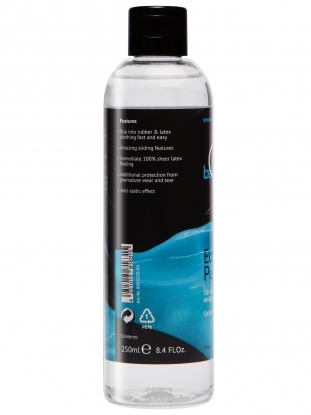 beGLOSS EASY GLIDE PREMIUM SPRAY - 100 ML - Easy Glide - Pure Feeling - Slip into rubber & latex garments fast and easy with our lubricant dressing aid.